Thanks for stopping by The Chunky Needle. 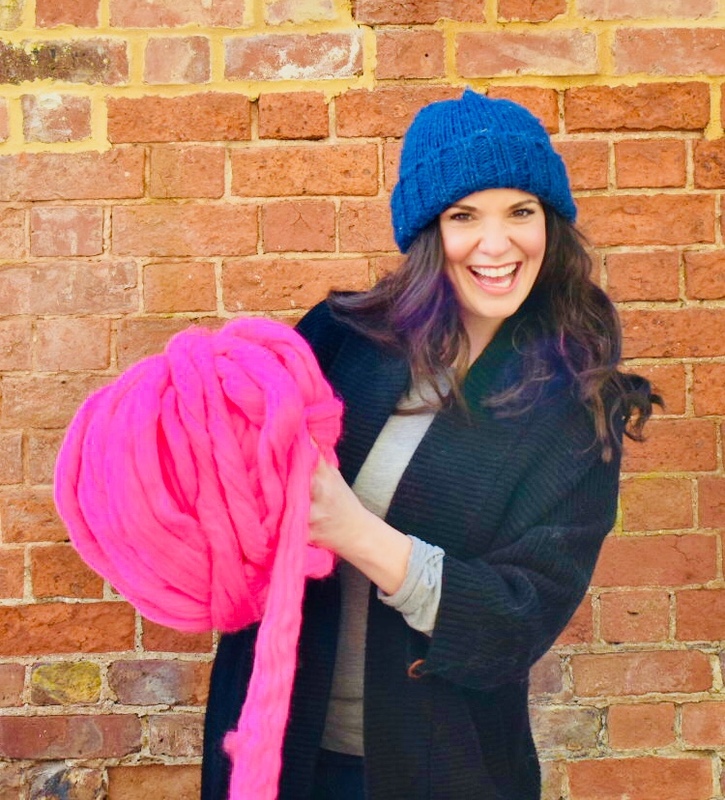 I’m Courtney and I'm the chunky-junkie holding those colossal knitting needles! 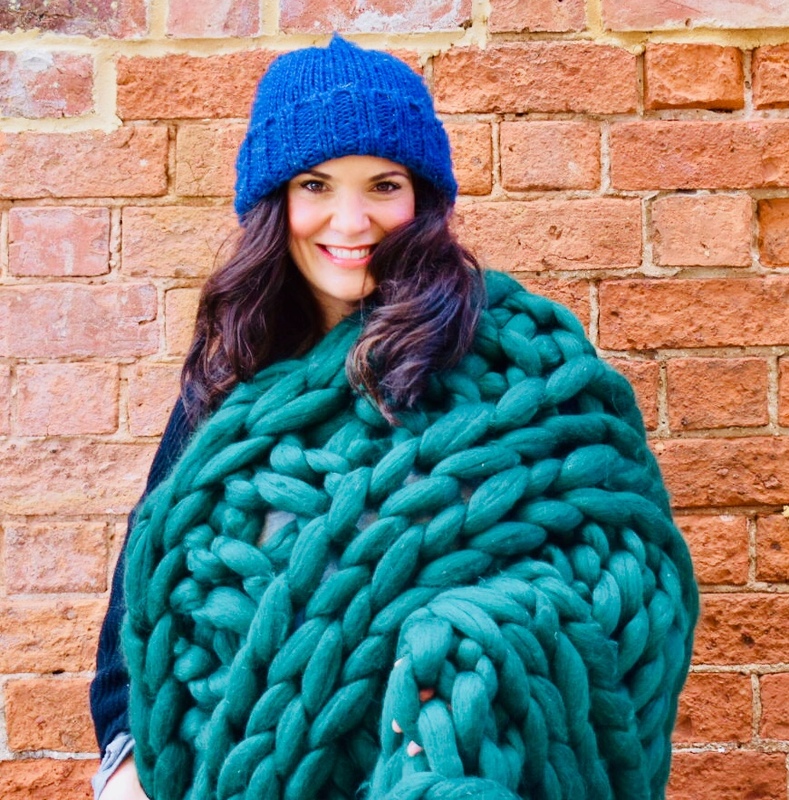 I first started knitting in the late 1980s and took up chunky knitting 15 years ago. 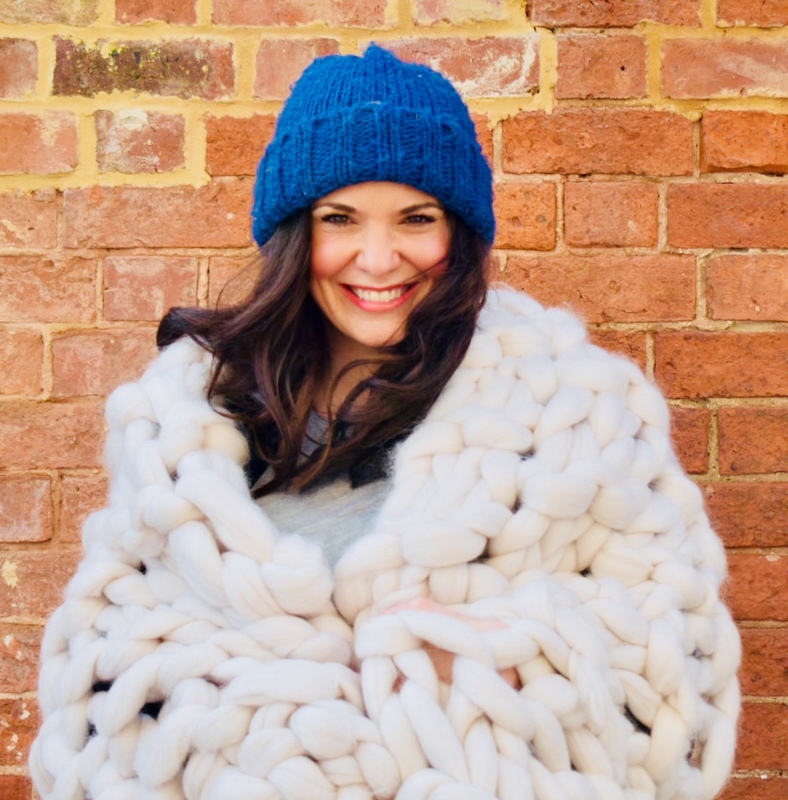 I started knitting very long chunky scarves and have grown to love knitting super chunky blankets and homeware using the best merino wool available. 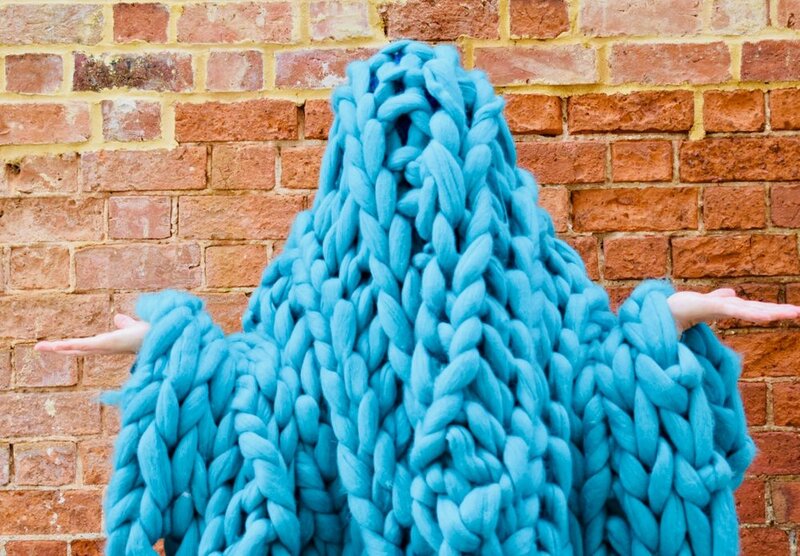 Chunky knitting appeals to me as the finished product is so unusual and dramatic. Friends and family always ask, "where did you get that?! I want one too!" The process takes less time than conventional knitting, so results can be seen quickly, and who doesn't want that?! Working with unspun merino wool is a dream as it's so incredibly soft and tactile and the colour range is vast. The whole process is actually quite hypnotic and incredibly relaxing. I started The Chunky Needle as I loved the look, colour, texture and aesthetic that chunky knits can bring to a room. 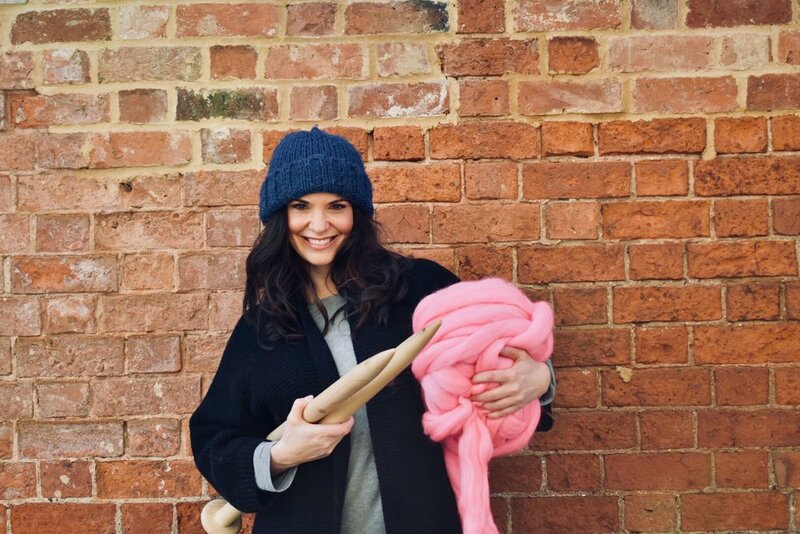 I was inspired to pick up my needles and develop a homeware brand that is both luxurious and affordable. Each piece is made by me alone with love, attention and care. I hope you'll adore your Chunky Needle knit as much as I loved making it.